Y’all, I went outside my usual comfort zone with this one. 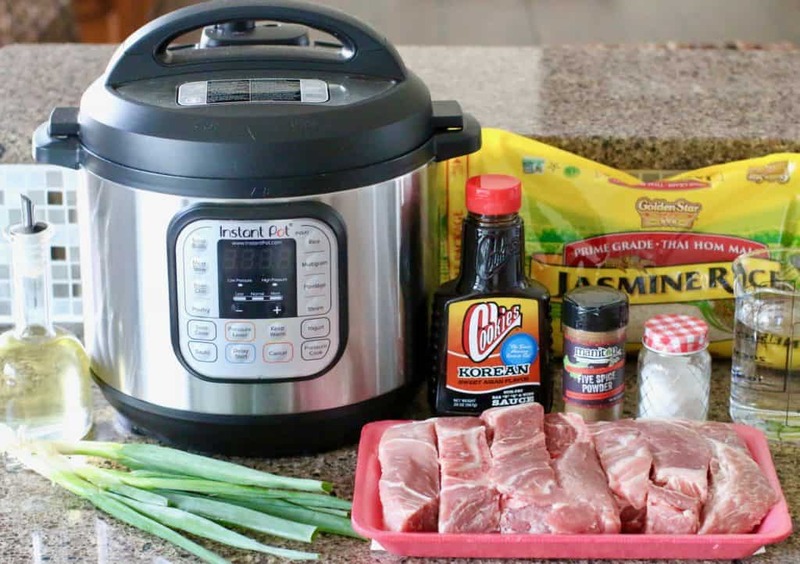 I really wanted to make some ribs in the Instant Pot but didn’t want just the same ole thing. I was able to find a fantastic deal on some country-style ribs at Kroger so that was my starting point. I had a bottle of Korean BBQ sauce at home that had been sitting kinda lonely in my pantry. I just didn’t know what to do with it! I knew I would need to season the ribs with something so I also purchased some Chinese Five-Spice seasoning (that was a first and I found it at Walmart!) Five spice seasoning is basically a combination of cinnamon, cloves, fennel, star anise, and pepper. 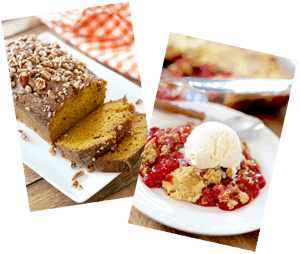 Sounds a little strange to us Americans but it really works in this recipe. 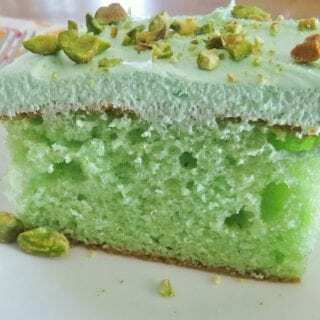 If you want to make your own, try this recipe from Epicurious. 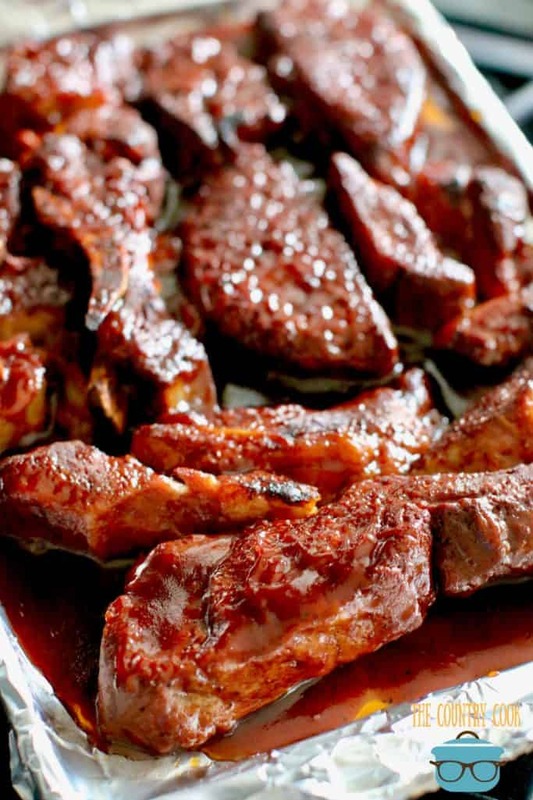 If you aren’t familiar, country-style ribs, they aren’t actually ribs. Kinda confusing, right? 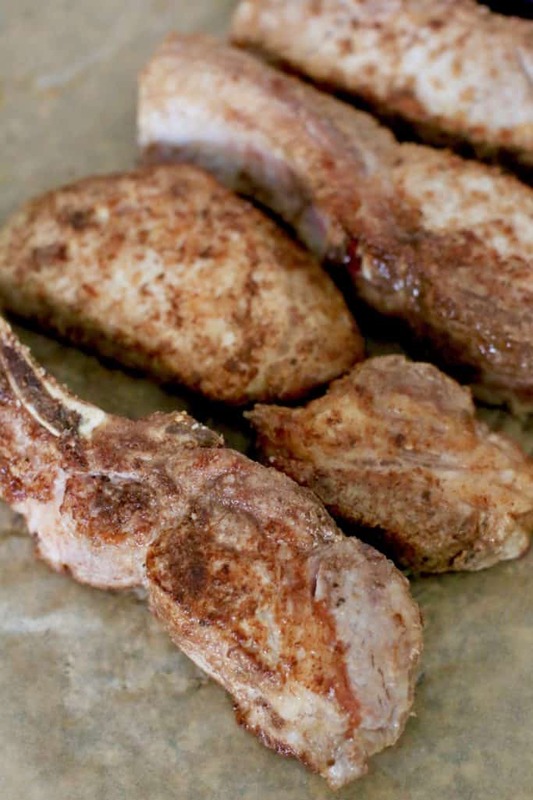 They are way meatier than a rib and if you are using the bone-in country-style ribs, then the bone you see is actually from the shoulder blade. So these “ribs” have some loin meat, like a pork chop, and, depending on how they’re cut, some blade meat. 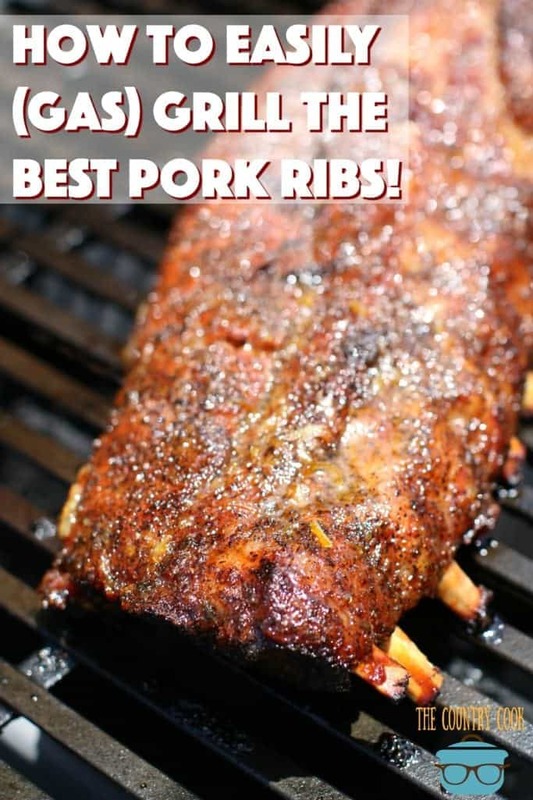 But they are ALL good and usually a little cheaper than your usual slab of ribs. Did you know that one-third of all the pork raised in the U.S. comes from Iowa? And most of the pork raised on those Iowan family farms is eaten right here in the United States! So, when you buy pork at any grocery store across the United States, you are supporting family farms in Iowa and around the country. Family farms are the back bone (literally!) of pork production. Now for some real talk. I know there’s a lot of stuff going around on the internet these days on how pigs are raised and real concerns about their welfare. There will always be bad apples in any profession. But I have visited a number of pig farms myself (through work and through farming friends) and I can tell you that the majority of our country’s farmers truly care about their animals. They want them healthy and comfortable for the duration of their lives. It really matters to them and it matters to them that consumers understand this. It’s not just a business, it is their livelihood, their reputation and their family’s future. 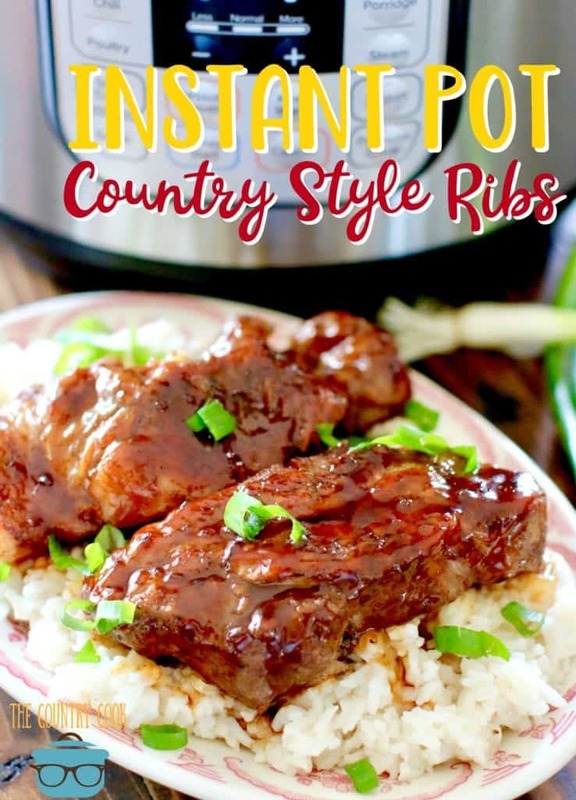 In this post, I am showing you how to make these ribs all by themselves in the Instant Pot (see video below) or with rice. 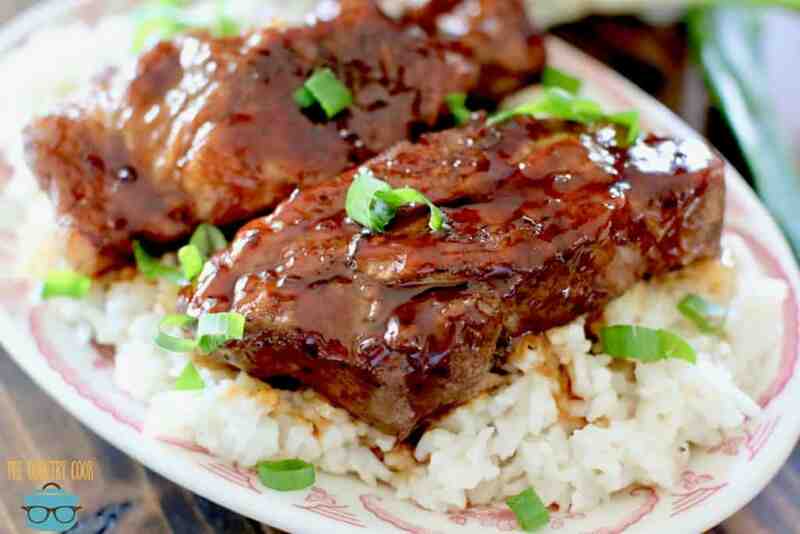 The ribs and the rice can cook together with just a few little tricks. 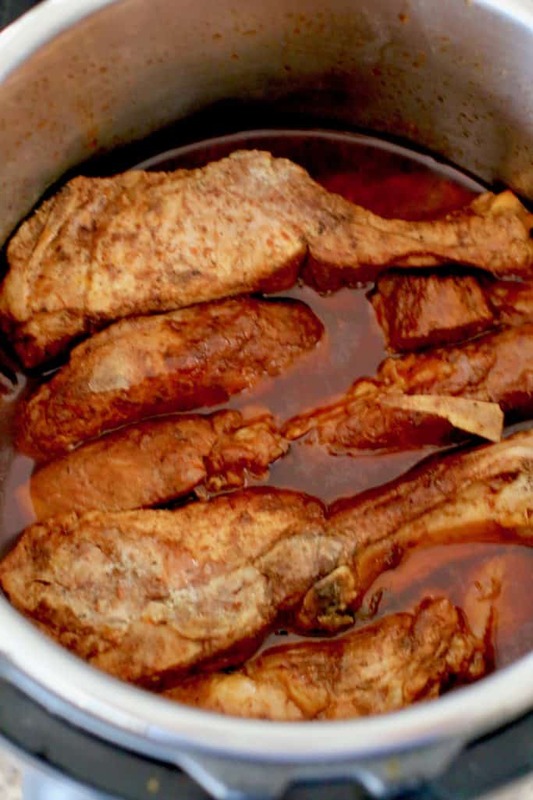 The ribs cook exactly the same whether the rice is in the pot or not. 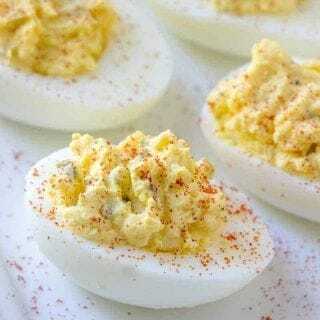 You’re gonna love how delicious these taste! Season ribs with salt and five spice seasoning. Make sure to coat all sides and rub it in. Turn on 6-quart (or larger) Instant Pot to sauté setting. Pour oil into the bottom of the insert. 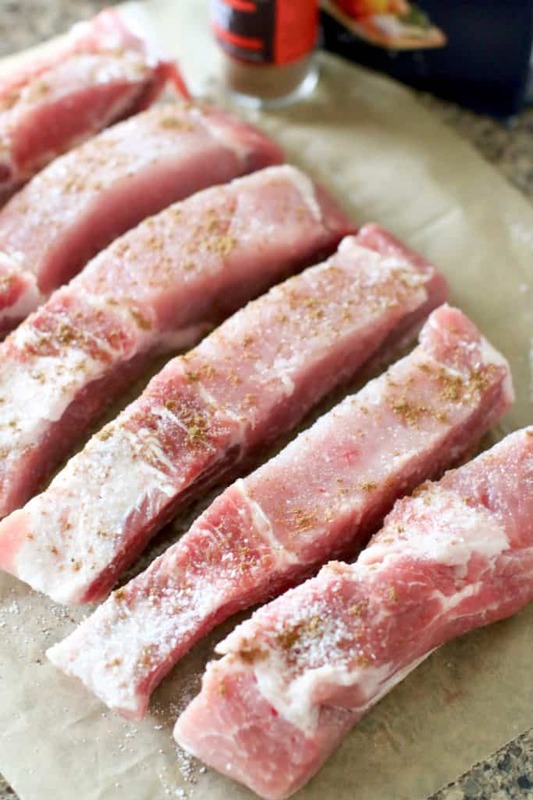 Remove browned ribs, set aside and continue browning the rest of the ribs. 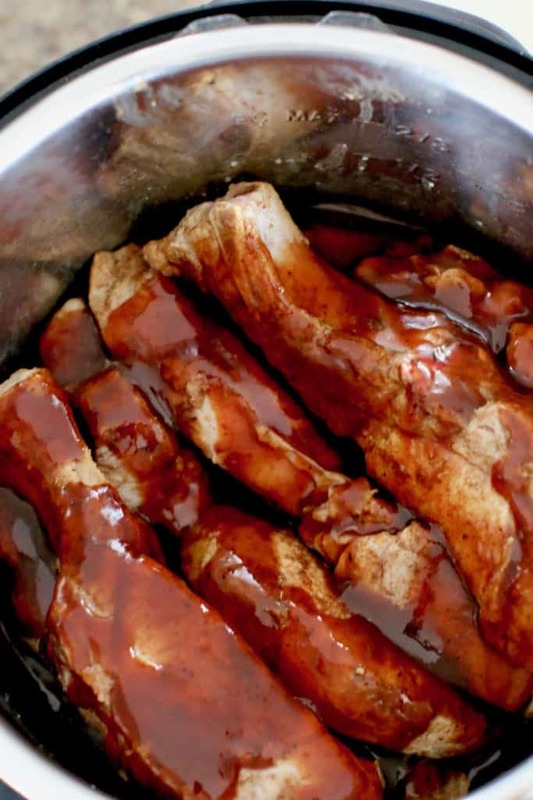 Don’t put too many ribs in the pot while browning or they will just steam and not brown. Add in additional oil, if necessary. Once all the ribs are browned, turn off the Instant Pot. Remove any excess oil from the bottom of the insert. Then place all the ribs into the bottom of the pot. Pour half the bottle of Korean BBQ sauce over the top of the ribs. 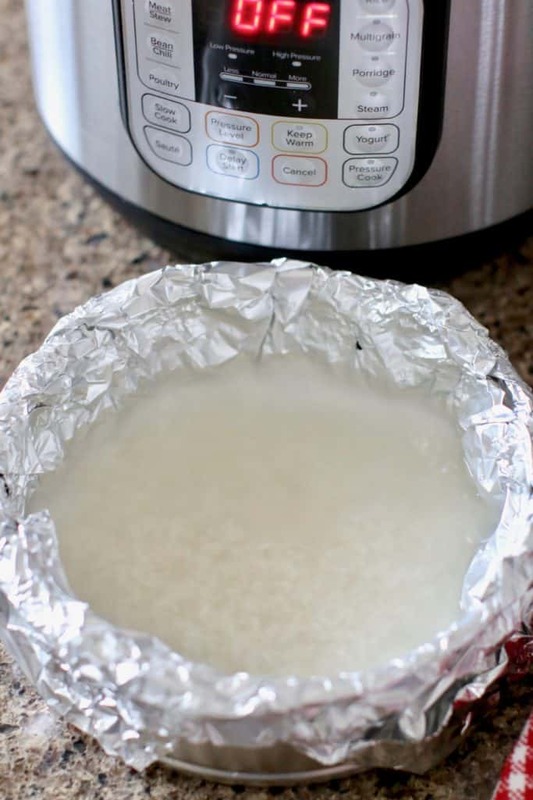 If you are cooking rice with the ribs, you’ll need a small, round pressure-safe insert that fits into your Instant Pot. I am using one of my springform inserts that I lined with nonstick aluminum foil so it doesn’t leak. Pour in water and rice into insert and gently stir. I just purchased some Steamer Inserts from Amazon that are made to fit perfectly into the Instant Pot. I also picked up some Gripper Clips to help with removal. Place rice insert right on top of ribs. Make sure there is enough room around the sides of the insert or the Instant Pot won’t come to pressure. Press the “Pressure Cook” button, high pressure, and set for 25 minutes. It will take about 10 minutes to come up to pressure. After it has finished cooking, allow the pressure to naturally release for 15 minutes. Then switch the valve to “venting” to release the rest of the pressure. 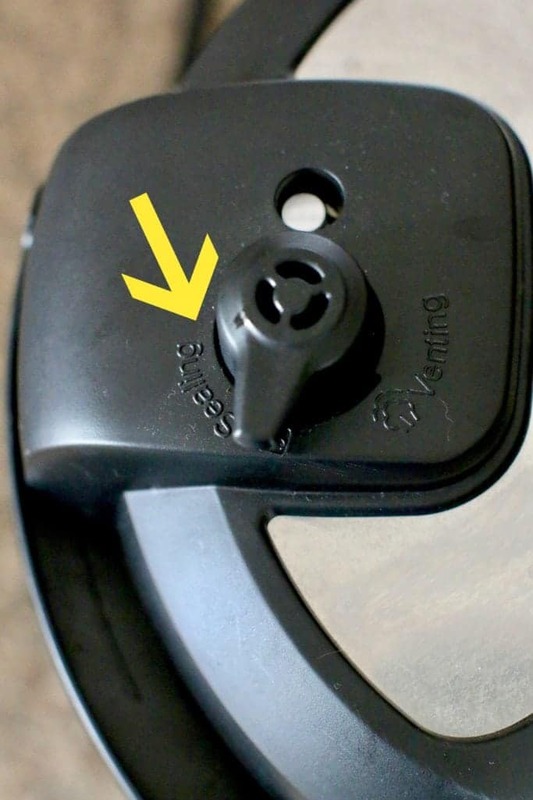 The float valve will drop, letting you know it is safe to open the lid. The rice should be perfectly cooked. Just fluff it with a fork. It will be slightly orange because of the BBQ sauce that has made its way to the top of the pot. It gives the rice a really nice flavor. I like to add some sliced green onion to the rice. 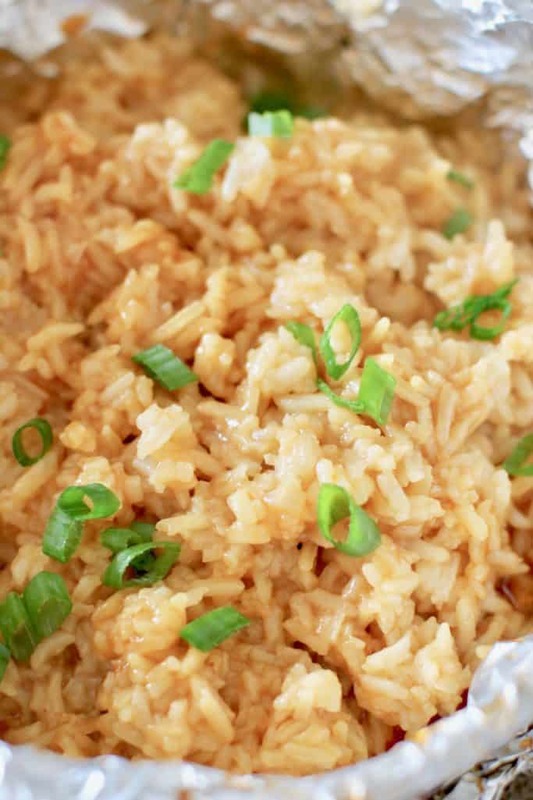 Carefully remove the rice insert (careful, it’s super hot.) Underneath, the ribs are cooked to perfection. They will be super tender and will fall apart a bit when you remove them. 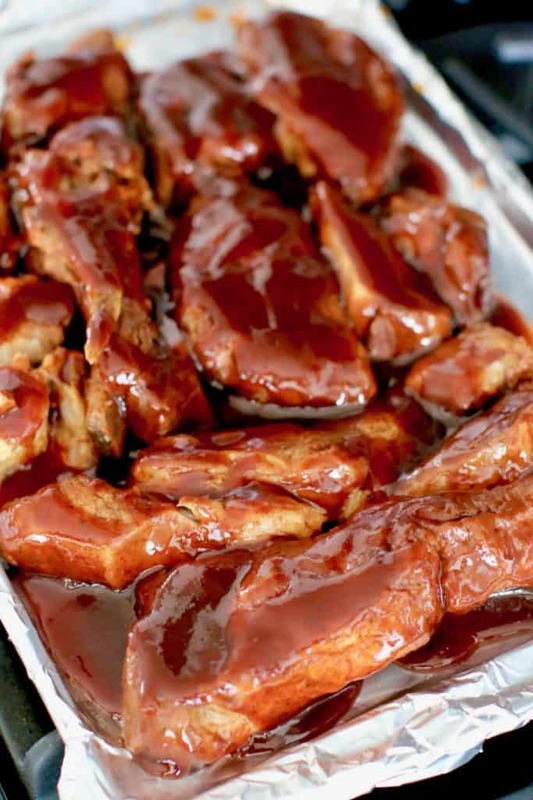 Note: This next step is optional but really adds to the overall flavor of the ribs. Line a baking sheet with nonstick aluminum foil. Carefully place ribs onto sheet. Turn on your oven to the high “Broil” setting. Pour the rest of the Korean BBQ sauce over the ribs. Making sure they are coated well. 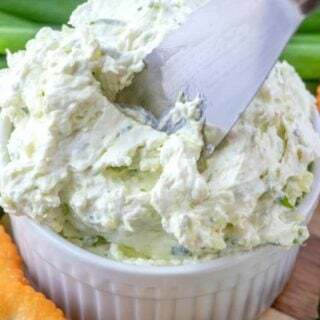 Serve with rice and top with sliced green onion. 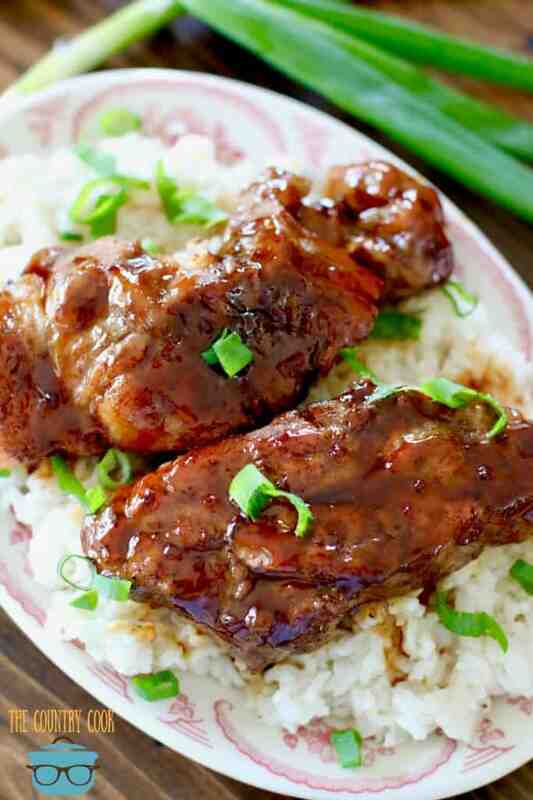 These fall-off-the-bone Instant Pot Korean BBQ Country Style Ribs are easy to make and it's a whole meal (including rice) made at the same time in one pot. 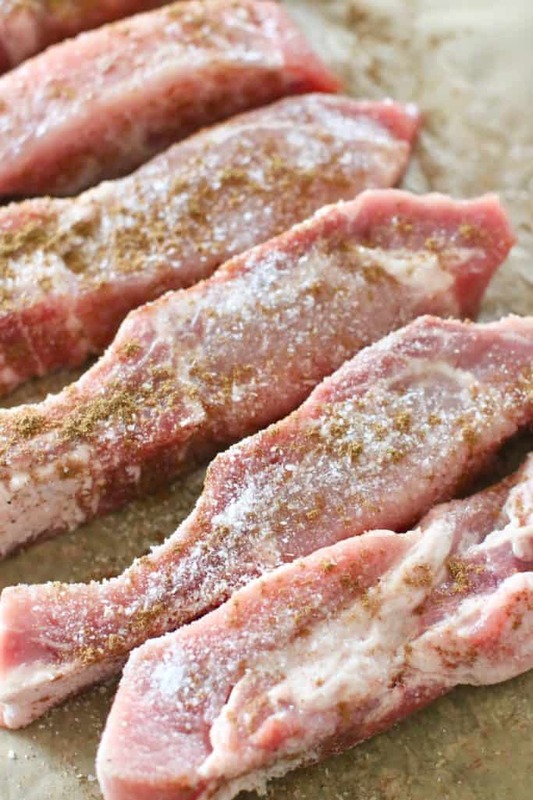 Remove browned ribs, set aside and continue browning the rest of the ribs. Add in additional oil, if necessary. You'll need a small, round, heat-safe, pressure-safe insert that fits into your Instant Pot. I am using one of my springform inserts that I lined with nonstick aluminum foil so it doesn't leak. Pour in water and rice into insert and gently stir. Once all the ribs are browned, turn off the Instant Pot. Carefully remove any excess oil from the bottom of the insert. Then place all the ribs into the bottom of the pot. Pour half the bottle of Korean BBQ sauce over the top of the ribs. 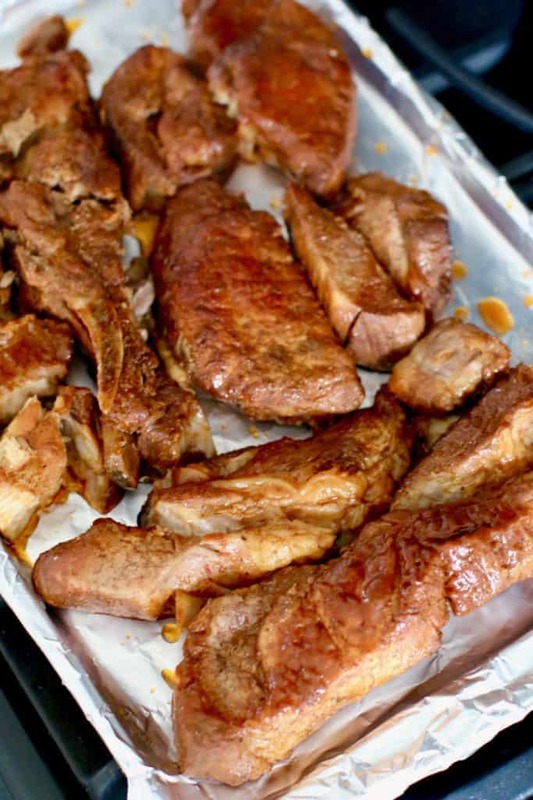 If just cooking ribs alone, skip this step. Otherwise, place rice insert right on top of ribs. Make sure there is enough room around the sides of the insert or the Instant Pot won't come to pressure. 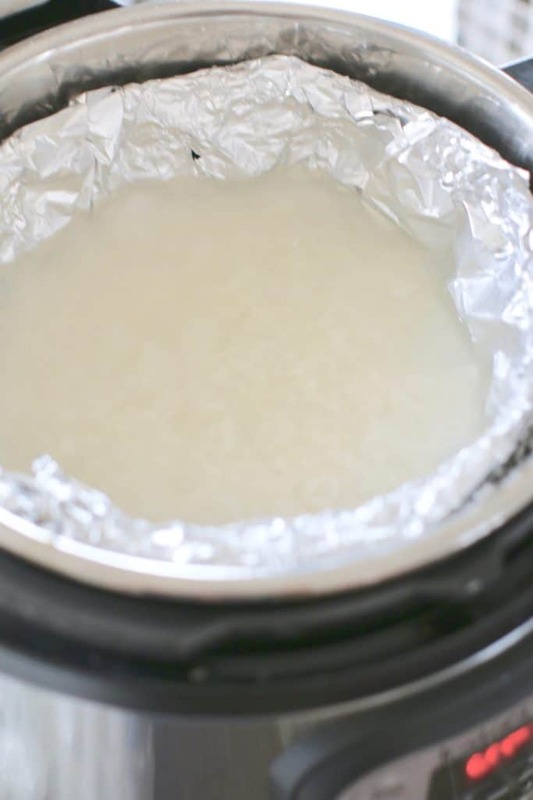 Cover Instant Pot and make sure lid is in locked position. Turn the valve on the top to "Sealing." Press the "Pressure Cook" button, high pressure, and set for 25 minutes. It will take about 10 minutes to come up to pressure. After it has finished cooking, allow the pressure to naturally release for 15 minutes. Then switch the valve to "venting" to release the rest of the pressure. 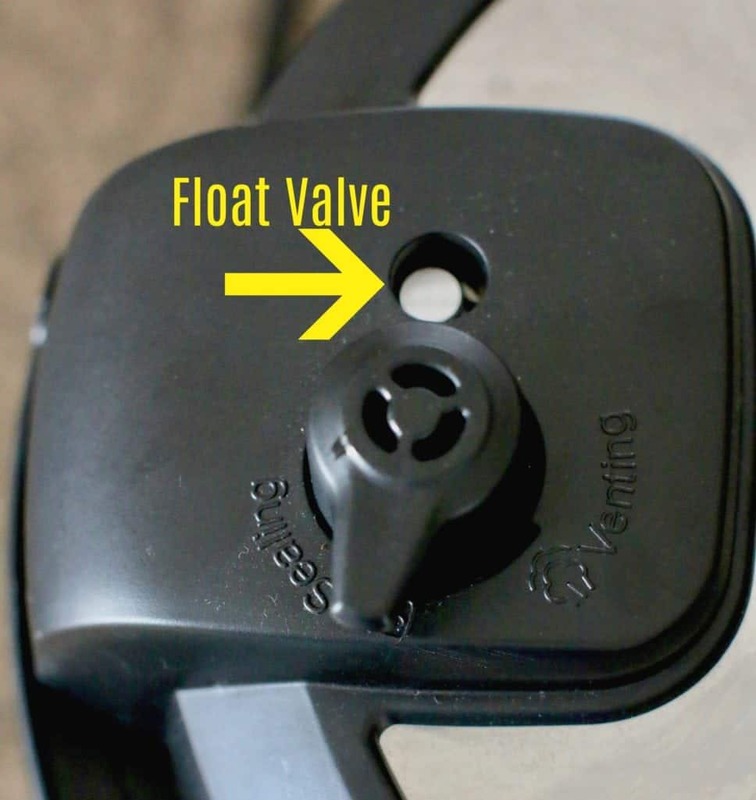 The float valve will drop, letting you know it is safe to open the lid. The rice should be perfectly cooked. Just fluff it with a fork. It will be slightly orange because of the BBQ sauce that has made its way to the top of the pot from the steam. 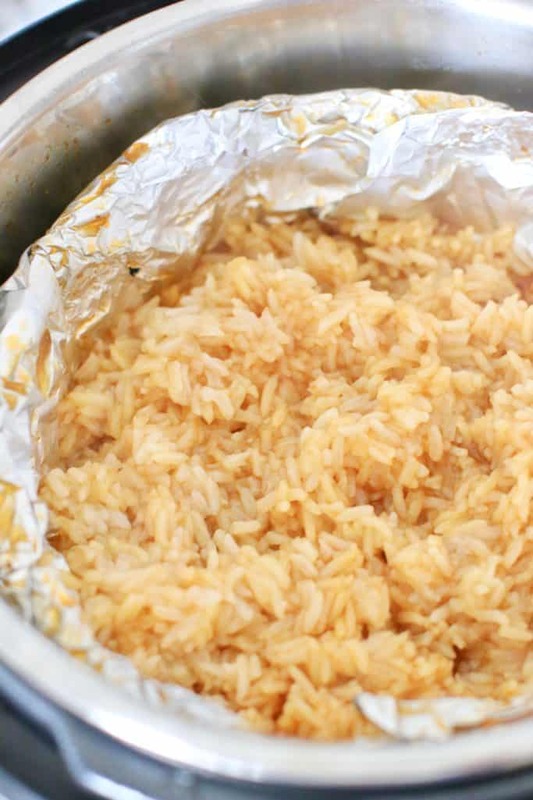 Line a baking sheet with nonstick aluminum foil. Carefully place ribs onto sheet. Turn on your oven to the high "Broil" setting. Could I do this in a dutch oven ? 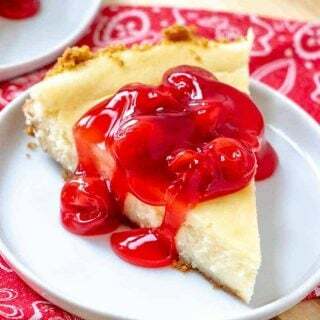 I don’t have an instant pot..
recipe sure looks good !! Hi Adeline! I don’t see why not! The key is just to cook it low and slow so it has time to get nice and tender. 🙂 Hope you love it! I have a 19 oz bottle of Korean sauce. Is that the right size? Hey Becky – that is perfect! This recipe sounds so good. 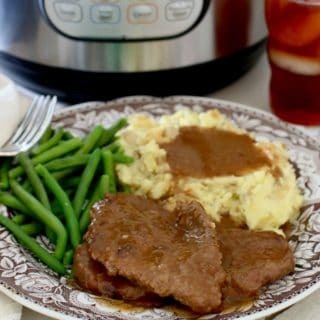 Question: I do not have an Instant Pot, but rather a Pampered Chef Quick Cooker which is similar. 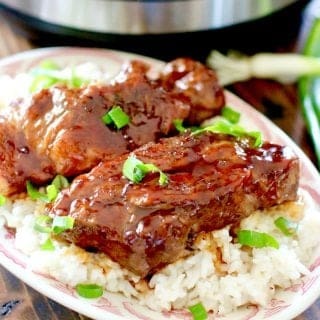 Every time I have cooked something like this that uses a bbq or teriyaki sauce, the sauce caramelizes in the bottom of the pot. The pot is a mess and the bottom of the meat that touched the pot is so hard with the caramelized sauce that it has to be tossed. The top of the meat is delish. Any suggestions for preventing this? Probably a dumb question…but the only water that’s added is in the insert with the rice? 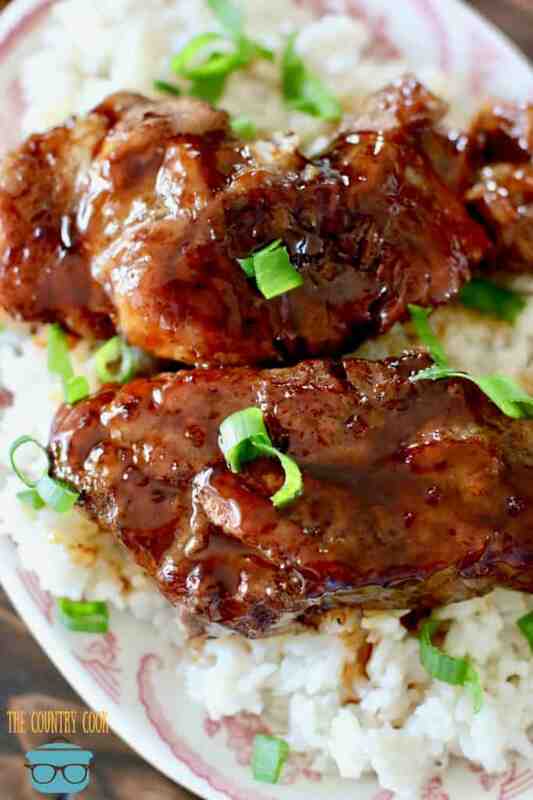 And if you don’t do the rice, there is no water for just the ribs (just sauce)? 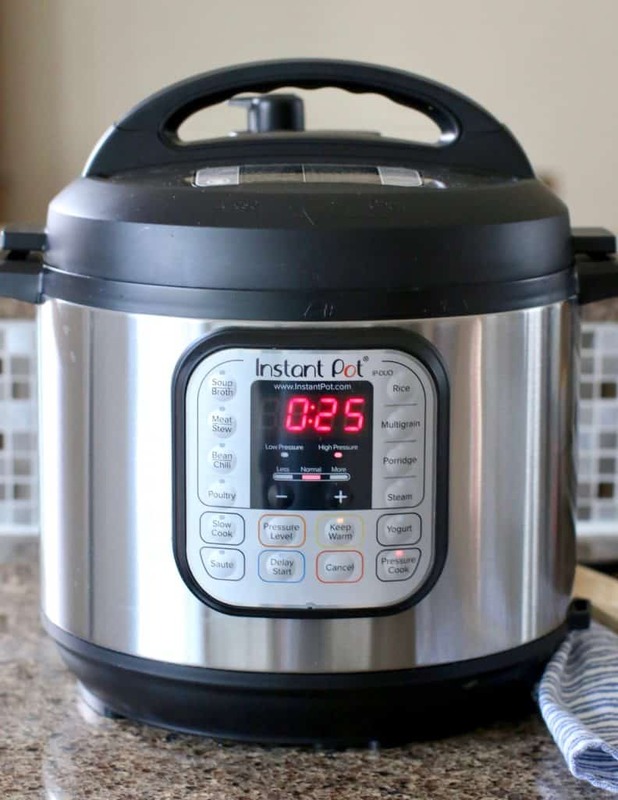 I’ve had my Instant Pot and used it frequently for about a year, but I always hold my breath when it’s reaching pressure. Not a dumb question at all. You are correct about the water. The sauce is enough. 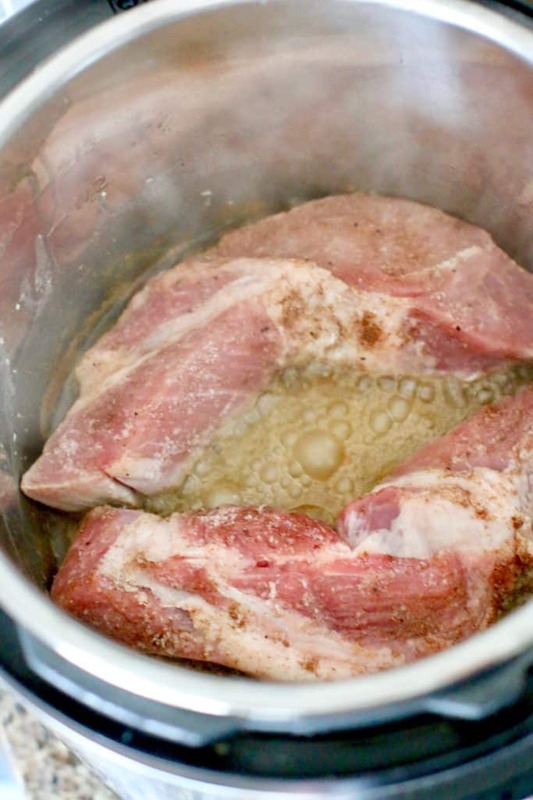 No other water is added because the ribs will quickly produce a lot of juice. If it has any trouble coming to pressure, add in a cup of water or chicken broth (you can do that if you are concerned at all about having enough liquid.) It won’t hurt. Hope you love it! this in a slow cooker? How lomg? 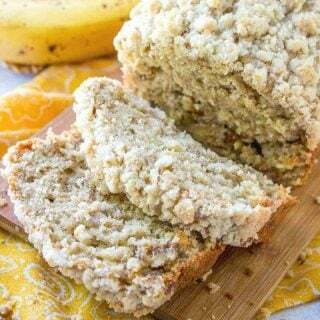 I haven’t made this in a slow cooker yet but if I were, I’d cook it on low for about 6 hours. You want the meat to be super tender.